The other day I had a huge bunch of carrots and being the soup person I am I went looking for a carrot soup recipe. I’m not a fan of curry or ginger in my carrot soup and up to then I really didn’t have it any other way. My usual “go to” soup recipe involves sautéing onion in olive oil, adding whatever vegetable I’m using, chicken broth and boiling for 15 minutes until vegetables are tender. Sometimes I use a hand blender to make it smooth, sometimes not. I decided to keep it simple and just do the “go to” method. I remembered reading, at some point, the green tops of the carrots are edible. Well, I love pesto in my soup. I used the green tops to make a simple, garlicky pesto and topped the soup off with toasted pecans. Simply delicious. Heat 3 tablespoons olive oil in a soup pot, add onion and a little salt. Cook, stirring occasionally, for 5 minutes until soft. 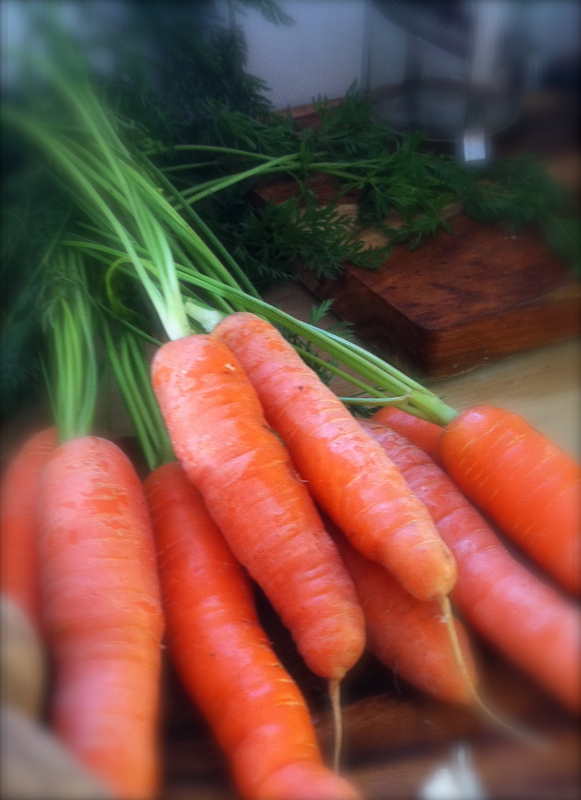 Remove carrot tops, peel carrots (optional) and roughly chop and add to pot. Stir until carrots are well coated with onions, add broth and bring to a boil. Lower heat to medium and simmer until carrots are tender, about 15 minutes. 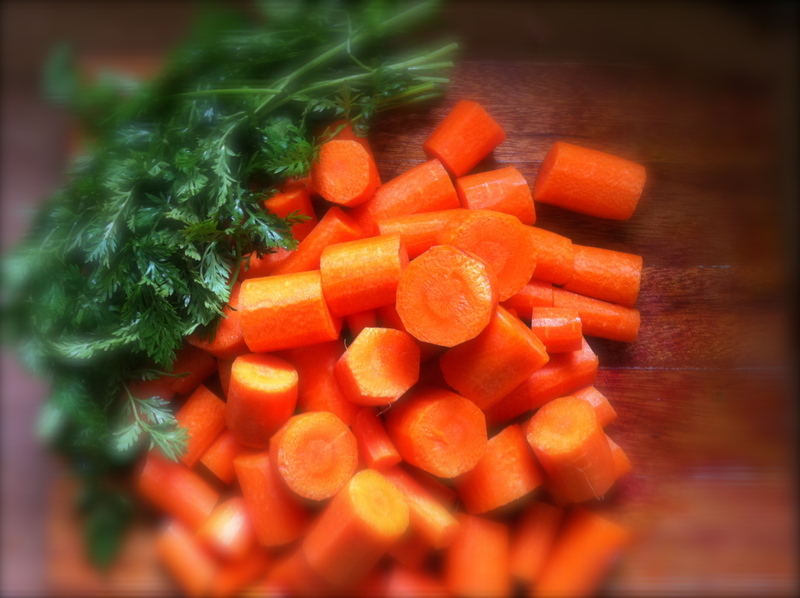 While carrots are cooking, either finely chop carrot tops or use a food processor and whizz until fine. Add the minced garlic, remainder of olive oil and a pinch of salt. Set aside. Place 1/3 cup pecans in a non-stick skillet on medium high heat. Occasionally move the pecans around with a spatula until toasted, approximately 10 minutes. Purée soup in a blender, working in batches, until smooth. Or use a hand blender directly in the soup pot. 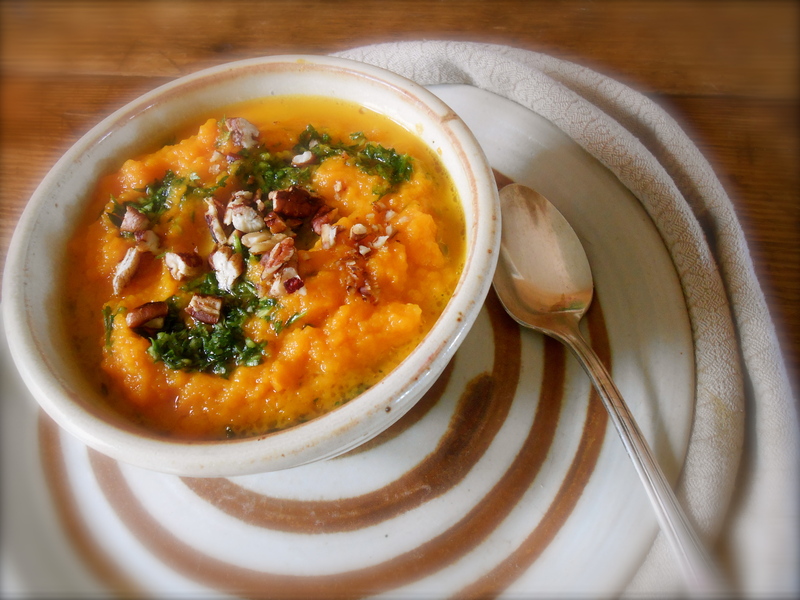 Ladle into bowls and top with carrot-top pesto and toasted pecans. What a lovely recipe. I love that you use the carrot top to make pesto. Nothing goes to waste and I bet that adds lots of flavor too. Thank you. It adds even more “carroty” flavor! I really, really want to visit Seattle one of these days. If I make it out there, I’m coming over for whatever you’re cooking. Beautiful photos! Love the carrot pesto idea. Learn something new everyday! You are welcome for dinner! :) Thank you for following my little blog. I certainly look forward to sharing many recipes with you. This looks divine. Cold here in South Africa. « spring greens – dandelions. 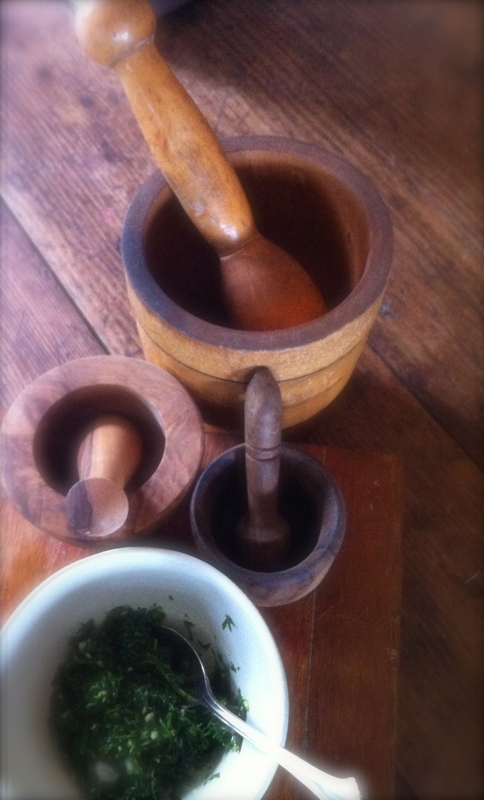 You are currently reading carrot soup w/carrot top pesto at COTTAGE GROVE HOUSE.